Piedmont Triad Airport Authority member Bill Whiteheart was awarded one of the Federal Aviation Administration’s most prestigious piloting recognitions at a meeting of the Airport Authority on April 25th. To be eligible for the award, nominees must be a U.S. citizen, hold an FAA pilot certificate and have 50 or more years of civil or military flying experience. As a Master Pilot, Whiteheart’s name will be added to a published Roll of Honor located on the FAA website. 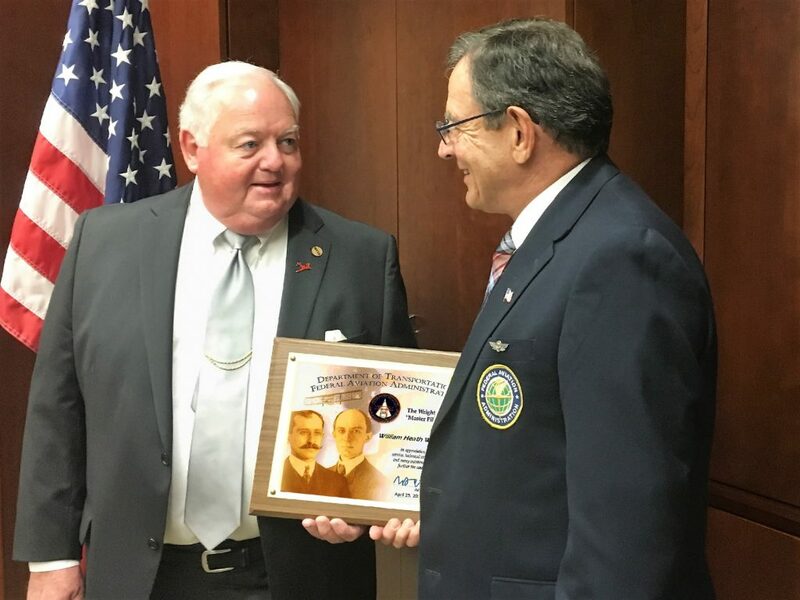 Cutline: Piedmont Triad Airport Authority member Bill Whiteheart receives the Master Pilot award from Robert Sutherlin, a representative of the Federal Aviation Administration.